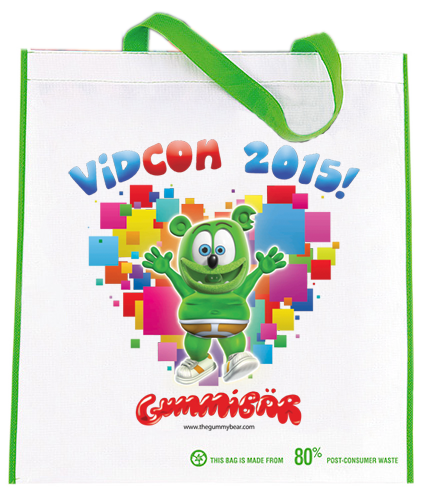 Limited Edition Gummibär VidCon 2015 Bag - Gummybear International Inc. Available for purchase at the Gummibär Shop here. After cleaning through our warehouse to make room for VidCon 2016 merchandise, we came across a handful of LIMITED EDITION Gummibär VidCon 2015 bags! These adorable reusable bags have not been available anywhere besides at VidCon last year (2015). Only 1,000 were made! We’re left with just a handful now! These bags are the perfect collector’s items, since there are so few of them made! Get your limited edition bag WHILE SUPPLIES LAST!